“The heart of Austria!”, my cousin exclaimed as we stood on the far side of Pasterze Glacier on the Carinthian side of the border between Carinthia and Tyrol, deep in the Austrian Alps. High in that uninviting world of ice and rock four climbers are slowly making their way up a 45 degree ridge-line to the summit of Großglockner. From here it looks like they are heading up the wrong peak but that’s just a trick of the angles with their destination some way beyond. 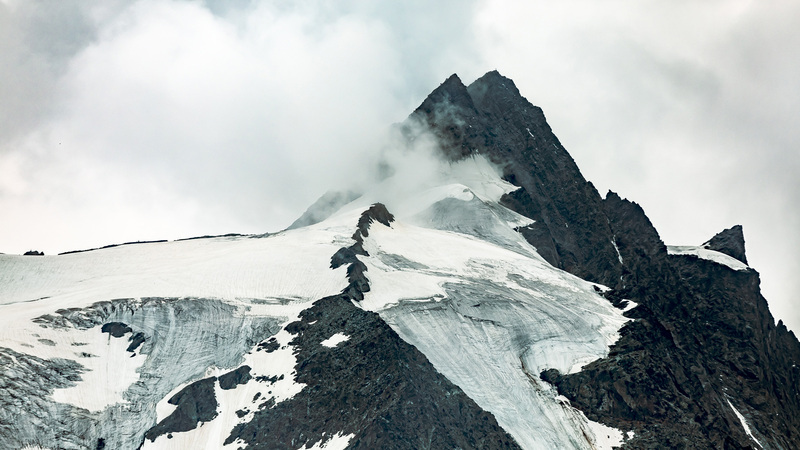 To many adventurous Austrians, climbing Großglockner is like a pilgrimage that needs be undertaken at least once in one’s lifetime. From our relatively cozy vantage point it’s easy to imagine such a climb. Perhaps even entertain adding it to one’s own personal todo-once list. I think however sanity and personal self preservation will prevail.